Roses are a permanent planting in our gardens. They can last for years and grow through several generations of gardeners. Fragrance and a wide variety of flower shapes and colours have marked them out as a popular inclusion in gardens worldwide. 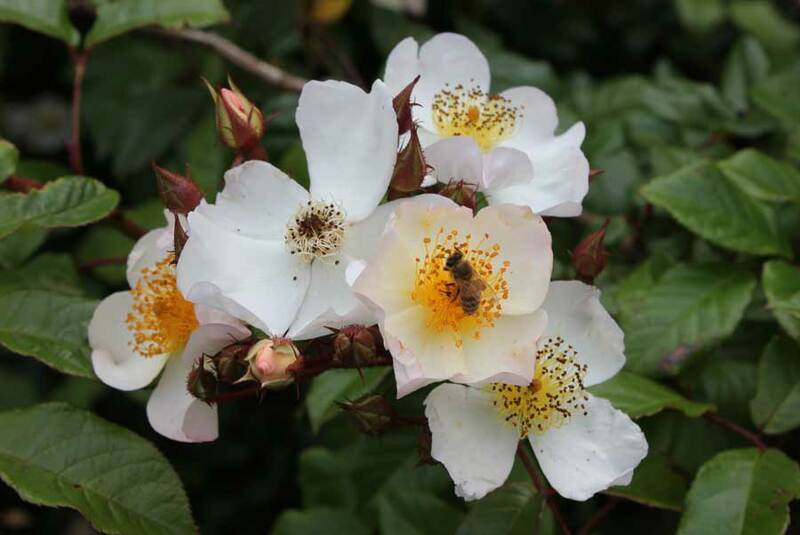 Roses have been bred to form all sorts of shapes over the years and this pursuit of perfect flowers and plant shape has bred the fragrance out of some of them too. 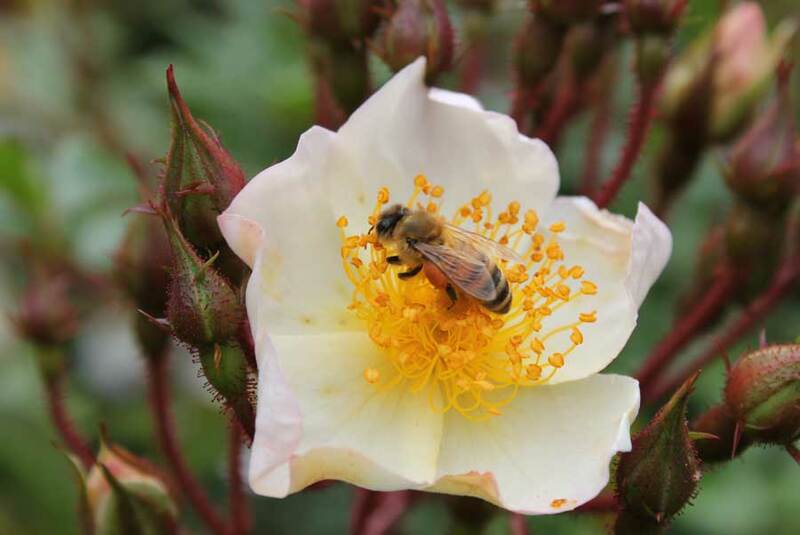 Roses can be labour-intensive and demanding plants to grow, but this is often due to their being put in the wrong place, wrong growing conditions and not being given what they need. However, if you have the right location and the right sort of soil you can enjoy roses without signing up for long hours of constant cosseting. Of the many varieties available its is the old fashioned and rambling varieties that are perhaps best suited to our vegetable gardens and orchards. 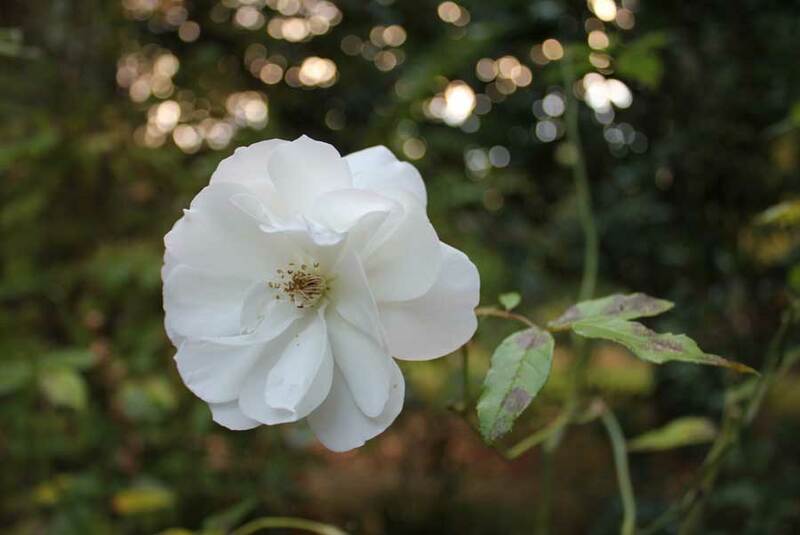 These are roses that often have loose, bushy growth – either as shrubs or climbing roses – with many small, simple, fragrant flowers that are borne over a long period. 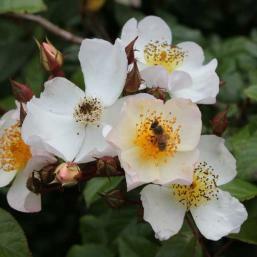 Also more trouble-free than more fancy varieties, old-fashioned roses have a subtle, natural beauty. 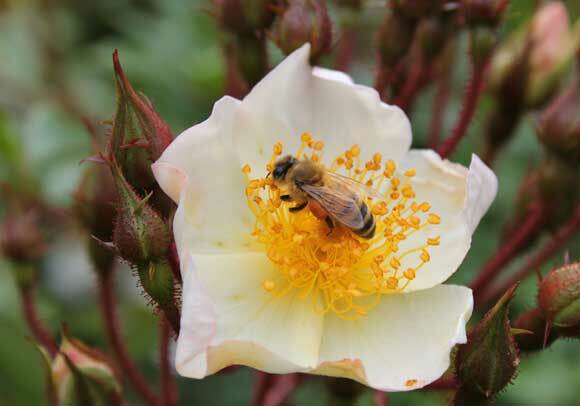 Flowers on roses draw large numbers of pollinating bees and beneficial hoverflies into the garden and their tangle of stems offers a good place for song birds to make their nests. 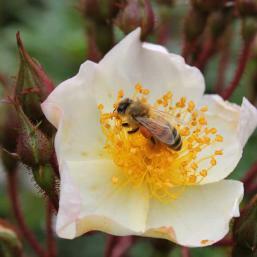 Roses are planted as bare-rooted plants (bare stems and roots with no soil on them) as well as container-grown stock. Bare root roses are usually cheaper to buy and can be ordered and purchased mail order or at garden centres between mid winter and the start of spring, whereas container-grown plants usually appear at garden centres in spring. 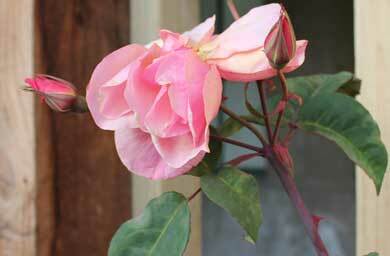 Plant bare root roses between mid winter and early spring as long as the ground is not frozen. Plant container grown roses in spring. Roses like a sunny position with good airflow. Some varieties will grow in partial shade or on shady walls. Shelter from strong winds is preferable as plants can be damaged and roots become loose due to wind rocking whole plants. This then causes plants to grow weak and become susceptible to disease. Roses like a rich, free-draining soil. Sticky clay and poorly-drained soils are a bit of ‘no-no’. If your soil is sticky then you’ll need to do some work on it, digging in coarse sand or fine pumice and organic compost to help improve drainage and soil structure. Container grown rose: Before planting dig a hole about 20% larger than the size of the container the plant comes in. Half-fill with well-rotted compost, rotted manure and some coarse sand or fine pumice to help with drainage. Mix together with garden soil at the bottom of the hole. Soak the container-grown rose before gently lifting it from its pot. Check the roots on the root ball and loosen any that appear to have grown around the inside of the pot – this should help them to get away and grow into the garden soil. Stand the root ball in the hole. Back fill with the soil/compost mix and firm the soil. The container soil level should be the same as soil level in the garden. Water well. 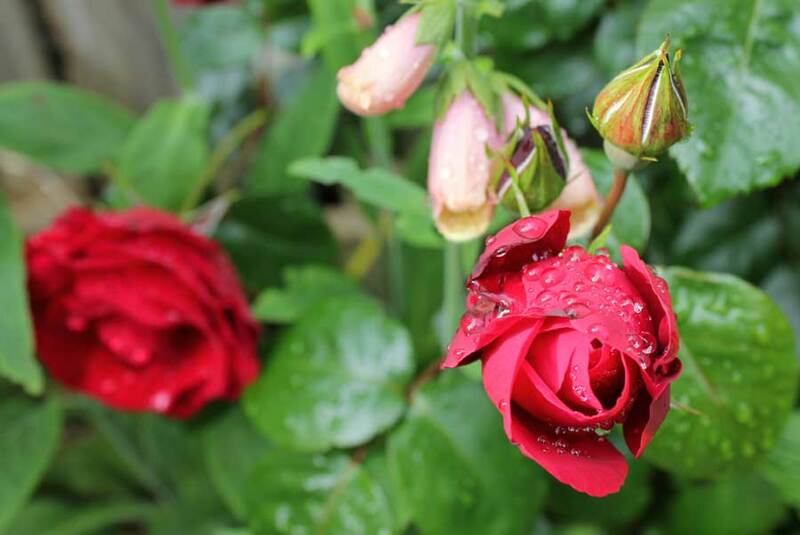 Bare root rose: Soak your bare root rose plant in a bucket of water. Dig a hole that is about a full arm length wide and deep in your pre-prepared planting spot. Half-fill with well-rotted compost, rotted manure and some coarse sand or fine pumice to help with drainage. Make a shallow mound in the centre of your hole and sit the bare root rose on the mound with the upward-pointing stem in the middle and the roots radiating around it. In cooler parts of the country the union (scar at bottom of main stem just above roots) should be about a thumb’s length below the soil when the hole is backfilled. In warmer areas this union should be about a thumb’s length above soil when the hole is backfilled. To back fill, gently work the mixture of soil and compost around the roots, firming the soil as you go until you have all but filled the hole to ground level. Fill the low depression that is left with water and allow soil to settle around the roots. Then finish filling the hole up to finished ground level. Water once or twice per week during dry periods. If plants grow well they may need tying in to stakes, trellis or training wires for support - especially in windy areas. Tie your string tightly to the stake, trellis or training wires and loosely around the rose stem – to prevent constriction and damage. Mulch around the base of your plants to keep soil cool and moist and to suppress weeds. N.B. It is important to make sure that any supports or structures you provide for climbing roses are solid and able to withstand a fairly heavy load. Blackspot: A fungal disease that starts with black spots on leaves with a yellow halo. Plants soon lose their leaves and die. Remove all affected foliage as soon as you notice the first signs. Mulch heavily around the base of affected plants with rotted manure. Planting garlic beneath roses is said to help ward off the fungal spores. If plants continue to decline, remove all affected plants and foliage and burn. Don’t plant roses in the same soil for at least 3 years. Powdery mildew: Foliage slowly develops small whitish-grey speckles that expand to totally cover leaves. This causes plants to become weak. In some cases plants become extensively covered and die. Remove all affected foliage as soon as you see first signs of mildew and burn or place in household rubbish. 2 tablespoons of white or cider vinegar mixed with 5 litres of water. Rust: Tiny orange spots appear on the underside of leaves and cause a yellow discolouration to the upper sides. Foliage dries out and falls prematurely causing plants to become weak. 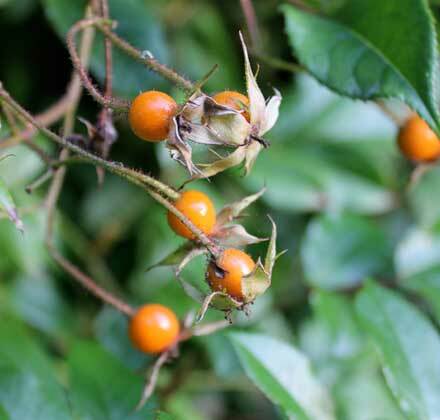 Remove any foliage and stems as soon as you see the first signs and burn. Flowers can be cut for use indoors. 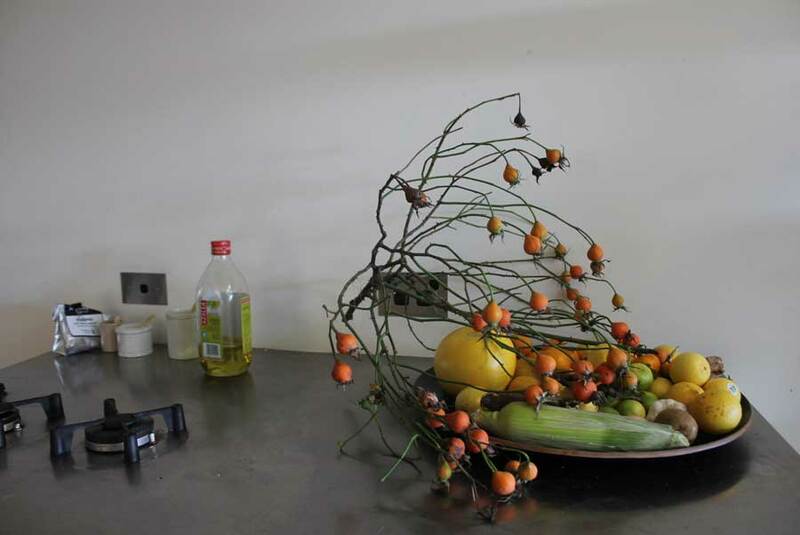 Use secateurs to cut them off. And make cuts on an angle so water runs off any scars. 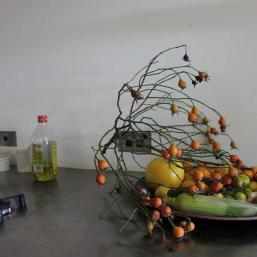 Leaving flowers at the end of summer will allow rose hips to form. 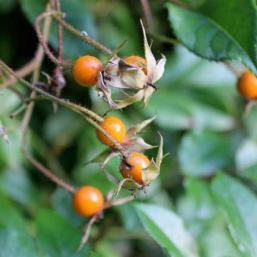 Rose hips are a good source of vitamin C and can be used to make rose hip syrup – they are also very decorative. 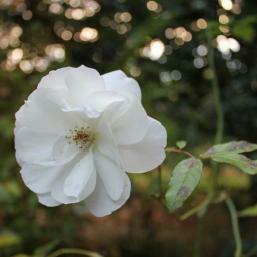 Roses can require specific pruning regimes depending on variety. 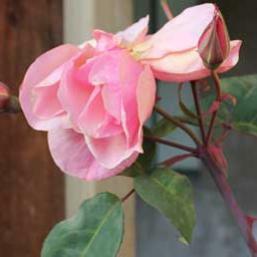 Some rose varieties are more maintenance free than others and you can get away with just giving them a trim to regulate their shape if they threaten to overpower anything growing nearby. 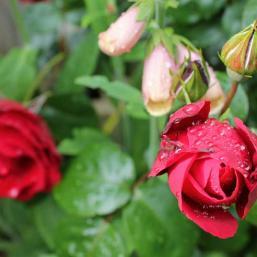 Maintenance of roses is greatly helped by growing healthy plants. 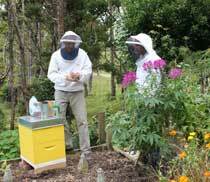 This means selecting disease-resistant varieties where possible and following correct planting procedures. Providing the right location, the right soil and timely watering and feeding will all help a great deal. 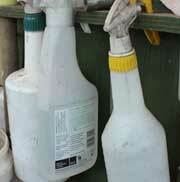 It is all about prevention unless you want to end up sloshing chemicals around after things have gone wrong.